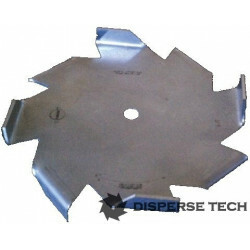 Hi-Vane Pumper impellers fill the intermediate range between low-speed and high-speed mixing. High-volume pumping action and radial flow promote better blending, while low shear minimizes temperature rise. The H Style, Type 2 blade will disperse pigments or flatting agents rapidly in high viscosity or thixotropic systems with minimum heat generation. 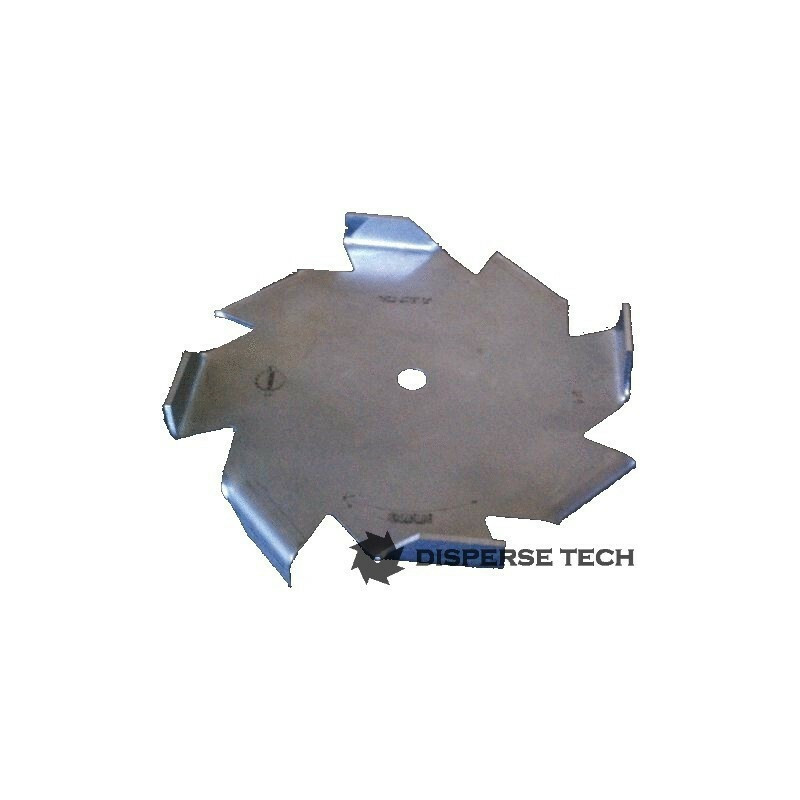 Diameter 1 5/8" 2" 3" 4" 5" 6" 8" 10" 12" 14" 16" 18" 20" 22" 24" 26" 28" 30" 32" 34" 36"
As with all our dispersion blades it can be bored to fit any of the popular high speed dispersers, including; Myers, Cowles, Hockmeyer, Schold, Shar, etc.